If you’re suffering from a dental emergency, you don’t want to waste any time seeking the best treatment. If your schedule is tight, though, seeking the best treatment might not be so easy, since many dentist offices offer limited business hours. Luckily, Emergency Dentist USA can get you in touch with an emergency dentist in Dallas that will fit your schedule’s needs. You shouldn’t have to spend time searching for an available dentist when you’re in pain. We refer only the most capable dentists who offer extended hours that are convenient for you! The following listings contain a variety of Dallas’ favorite emergency and after hours dentists. Although there are no 24-hour dental clinics available, there are several local hospitals with emergency departments to cater to your late-night dental emergency. Instead of frantically searching for an after hours or walk-in dental clinic in your area, simply take a look at the selection offered below and choose the dentist who suits your needs. Finding the right emergency dental clinic in Dallas does not have to be a pain, especially when you are already in pain with a dental emergency. If none of the dentists suit your needs, calling Emergency Dentist USA can still get you connected with a local dentist available when you need them. We collected the following listings based on their availability to help you with your dental emergencies after or before regular business hours, meaning many of our listed options will be open late on weekdays or open on weekends as well, and they are all qualified to handle common dental emergencies. Finding a 24-hour emergency dentist in Dallas, Texas is simple when you understand the type of emergency dental clinic that you need to fix your dental problem. EmergencyDentistsUSA.com offers a comprehensive listing of emergency dental clinics. A walk-in dental clinic is designed to allow patients to walk into the clinic without the hassle of waiting for an upcoming appointment. Since no appointment is necessary, these emergency dental clinics offer prompt service for emergency dental care. Many of the listings below will treat walk-in patients during regular business hours. If you need a quick, walk-in clinic with some extended business hours, or an after hours dentist, try Emergency Dental Care USA Dallas, or Dossett Dental, who are both open late. For a Saturday Dentist, Milestone Dental Dallas or Midway Crossing Dallas Emergency Dentist will be able to help you! Emergency 24-hour dental clinics are open 24 hours per day and seven days per week. There are no 24-hour emergency dental clinics in Dallas, but there are a variety of hospital emergency rooms that are available 24 hours per day to address any dental emergency that you might encounter. Description: Call to be connected with the perfect dentist for you. Dallas is a large city and we have the connections to find a dentist to fit your needs, and can get you an appointment immediately. Get help finding an emergency dentist without insurance, or with your insurance coverage, without all the hassle of calling around. Description: Open 9am-9pm, seven days a week, including most holidays, the skilled dentists and caring staff at Emergency Dental Care USA can help get you out of pain quickly. They accept most dental insurance and offer other payment and financing methods to suit nearly any budget, including cash. most major credit cards, and financing through Care Credit. Located in Farmers Branch, and easily accessible from downtown Dallas, Richardson, Lewisville, Irving, Carrollton and The Colony. Description: This Dallas emergency dentist has comprehensive dental care services. They provide cosmetic dentistry services including teeth cleaning and whitening, dentures, polishing, and veneers plus more. While you may not be able to get all of these services in the middle of the night or on the weekends, you should be able to get your most pressing matters resolved quickly. They are open late, until 8:00pm, on Tuesday and Wednesday. You can pay at time of service with cash, Visa, MasterCard, Discover or American Express. Dossett Dental works to accept most major dental insurance as well. Description: This Dallas emergency dentist has a great reputation as a family dentistry clinic and is a great place for adults and children alike. They run regular business hours throughout the week, but are open on Saturday from 9:00am to 2:00pm, so it’s a great place to handle any dental emergencies that may arise early during the weekend. They accept most major credit cards and cash for payment, and work to accept most major insurance plans as well. Description: The Jefferson Dental Clinic offers a Dallas after hours dentist office that has great hours. They are open until 7:00 pm 3 days a week, including Tuesday, Wednesday and Thursday. They are also open Saturday from 9am until 5pm. This means you can easily see a dentist at this office on Saturday in Dallas! They are one of the most flexible local offices concerning payment plans, and they offer several financing options, including their own personal dental savings program, private financing programs like Care Credit, Ortho Banc, and iCare Financial. They accept most private insurance plans, cash, and all major credit cards for payment as well. Description: If you’re looking for a Saturday dentist in Dallas, the Milestone Dental Dallas group is one of the best with great available hours. They are open on during regular business hours all week, and then open at 9:00am on Saturday to help you handle weekend emergencies. Milestone Dental offers a progressive approach to dentistry and does what they can to keep you comfortable, including providing full access to their Internet cafe and multiple flat screen televisions. They can handle any dental concerns, from simple fillings to major procedures, like root canals and dental implants. Milestone Dental Dallas group accepts all major credit cards, cash, and most major insurance plans for payment. Description: This renown Dallas dental office can serve you in English, Hindi, and Spanish, making it an ultra accessible option for multinational residents. They try their best to make every patient comfortable and offer massaging dental chairs to help you relax. Atlantis Dental on Zang Blvd in Dallas offers a good opportunity for you to see a night dentist in Dallas on weeknights. They stay open until 6:00pm on Monday through Thursday, which makes it possible for you to see an emergency dentist after work. They also take emergency appointments on Saturday afternoons to help you handle emergencies that can’t wait until Monday. Cash, all major credit cards, and almost any major dental insurance plan are accepted for payment. Emergency dental clinic visits are very similar to a visit to your regular dental office. These visits offer a variety of services including standard x-rays, fillings, and crowns along with emergency services that include tooth repairs. Before visiting your new emergency dental clinic, gather any paperwork that you might need. If you have recent dental x-rays or records from your previous dentist, be sure to bring those records to your emergency dental clinic visit. Try to arrive approximately 15 minutes prior to your appointment time to fill out paperwork. The emergency dental clinic will have a staff member who is trained to help you with that process, and many dental clinics offer a bilingual staff member. Check to see if the emergency dentist accepts your dental insurance. You can often save money when choosing a dentist who is in your dental insurance network. Determine whether you will pay for your emergency dental services with cash, a credit card, your dental insurance, or even a personal check. Check to see if the dentist that you have chosen accepts your payment form. If you have allergies to any type of medication, be sure to let the dental office staff know prior to your visit. Bring a current list of medications to the visit if possible. Do you have intense dental anxiety or fear? Let the dental office staff know prior to your visit. They can help you to feel more relaxed during your dental exam and treatment. There are a variety of common 24-hour dental emergencies that wake you from your sleep or cause you pain at times of the day that make it difficult to schedule a dental appointment. Some of the most common of the dental emergencies include a simple toothache. Toothaches can be caused by damage to teeth that has not been addressed by a professional, a broken tooth, or even an infection in the gum or surrounding tissue. Toothaches are quite painful and are one of the most common dental issues that cause a patient to seek dental care. Other 24-hour dental emergencies include cracked or broken teeth due to an accident. Lost fillings or damaged or broken crowns are also dental emergencies that require immediate attention. A dental walk-in clinic or an after hours clinic also handles emergencies that include lost teeth, broken wires or braces, an abscess, or a loose bracket or band. 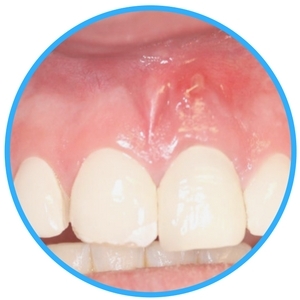 An abscess is often one of the most painful types of dental emergencies. An abscess is a type of infection that usually occurs in the space between the tooth and the gums or around the root of the tooth. An abscess is dangerous because it can spread to areas that surround the tooth and even impact the bone of the jaw. It is extremely important to see an urgent care dentist in Dallas as soon as possible if you suspect you may have an abscess. This type of dental emergency can even affect other parts of the body if left untreated. 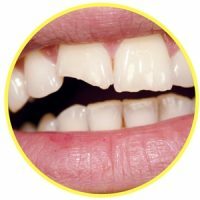 If you encounter a dental emergency that includes a chipped or broken tooth, make an effort to find the part of the tooth that is broken. Rinse the mouth with water to remove any remaining pieces of the tooth, and save them in a cup of milk or a Save-A-Tooth container. Apply gauze to any area that is bleeding and maintain pressure for about 10 minutes or until the bleeding stops. A cold compress can be used to lessen swelling in the cheek area, and it is extremely important to visit your emergency dentist as soon as possible to repair the chipped tooth. Objects that are caught in your teeth can cause quite a bit of pain because they force the teeth out of their normal position.. This becomes a dental emergency when you are unable to remove the objects. When something is caught between your teeth, try rinsing your mouth with water to remove the object. Use dental floss to gently remove the object but do not use sharp objects like pins as they could cause damage to the surrounding gum and tooth. Visit your emergency dental clinic or a Dallas emergency dentist as soon as possible if you are unable to remove an object that is caught between your teeth. Knocked out teeth are a commonly treated dental emergency. A tooth that is knocked out might be damaged due to an accident, a sports injury, or even severe decay. If your tooth is knocked out, try to find the tooth and rinse it with water before placing it in a container of milk or Save-A-Tooth until you are able to reach your emergency dentist. Try not to touch the root of the tooth to avoid damaging it further, and if it is possible to insert the tooth into the empty socket, do this without forcing the tooth and damaging the socket. Follow up with your emergency dentist immediately. An emergency tooth extraction is never a fun dental visit. You might require an emergency dental extraction if you have a tooth that has decay that extends to the inside of the tooth or the pulp. This type of decay can lead to infection that spreads to other parts of the body, including the gum, soft tissue of the mouth and bone. Often, when tooth decay becomes this extreme, the tooth requires an emergency extraction to alleviate the pain and control the infection. You may also require an emergency tooth extraction if you have trauma to a tooth that damages it so badly that it is not repairable. Waiting to have a tooth extracted rather than having the extraction done immediately exposes you to a higher risk of pain and infection and the increased need for medication. A dentist extracts a tooth using a local anesthetic to control the pain. He or she then applies a special tool to the tooth, or breaks the tooth into pieces in order to remove it from the gum. 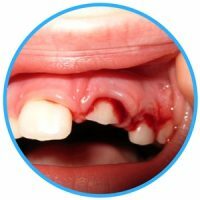 A piece of gauze is placed into the space where the tooth was, and is used to control the bleeding until a blood clot forms. The extraction process is relatively painless and healing occurs within one to two weeks. Visiting an emergency room rather than an emergency dentist is necessary in some cases. For example, when a person has a tooth or teeth that are damaged in an accident, an emergency room doctor is able to ensure that the person has no injuries other than the tooth itself. This is especially important when an accident includes head trauma due to a vehicle accident or sports injury. Any type of head or body trauma should be evaluated by an emergency room physician prior to visiting an emergency dentist. If the damage to the tooth is not caused by an injury, an emergency room doctor is only able to provide pain relieving medication or antibiotics, but cannot fix the actual tooth. Unless an emergency dentist is not available, an emergency room doctor is not the best solution for dental care. The emergency room bill is often much higher than a dental bill for the same treatment, and some dental emergencies are not covered by your regular medical insurance. Visiting an emergency dental clinic will often save you money when you have a dental emergency because the emergency room physician will refer the patient to a dental clinic for tooth repair. In all of the hustle and bustle of a thriving city like Dallas, there are plenty of options for handling that dental emergency that crops up at the most inopportune time of the day. Even though you are in an emergency situation, you should still take the time to choose your dental professionals wisely, assuring they have all the proper licenses and certifications. When you choose your Dallas emergency dental clinic, make sure you select a dentist that you trust. A great way to see if your dentist is licensed and certified is by researching him or her through the American Dental Association. Other helpful sites to verify your dentist’s licensing include the Texas Dental Association at and the Dallas County Dental Society. All of these organizations can help you to find the best emergency care dentist in your area and information about their qualifications, so you can rest assured that you’re in good hands.